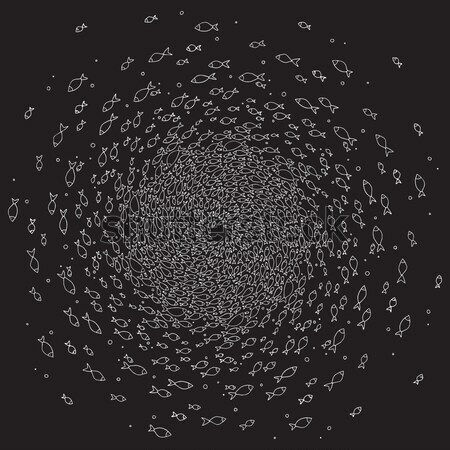 Stock photo / Stock vector illustration: Vector isolated fish mandala. Decorative circled pattern. Coloring book page.